Until just a few years ago, Martie Ramm Engle made theatrical dancing, singing, acting, choreography and directing her career. Today, she has become one of the most sought after event and entertainment director/producers. Martie served as the event manager/producer for the opening of the renowned J. Paul Getty Center in Los Angeles, managing 22 diverse events and productions (19 within one month!) to celebrate the opening of this world-class arts and cultural center. Included were events for the press, VIPs, museum staff, government officials, construction team, the general public, and art world celebrities. As Associate Production Executive, Event Manager, and Manager of Special Projects for Walt Disney Theatrical Productions, Martie supervised theatrical projects including the opening event for the New Amsterdam Theatre, New York; the opening night event for the Broadway debut of Alan Menken and Tim Rice’s King David; opening night events for Disney’s Beauty and the Beast in Los Angeles, Toronto, Washington D.C., and the U.S. National Tour; and press events for Walt Disney Theatrical Productions. Martie also had direct responsibility for operational and production elements for the Australian and Japanese productions of Disney’s Beauty and the Beast. Additional duties for Walt Disney Theatrical Productions included theatre operations, orientation and training sessions for theatre staff and ushers at the Chicago Theatre, Chicago, and special projects as assigned, including the production of the 17-minute Disney’s Beauty and the Beast educational video. Martie has also served as Director of Special Events for the Pacific Symphony (one of the top 25 orchestras in the United States), where she most recently managed and produced the Symphony’s star-studded 25th Anniversary opening night gala event. 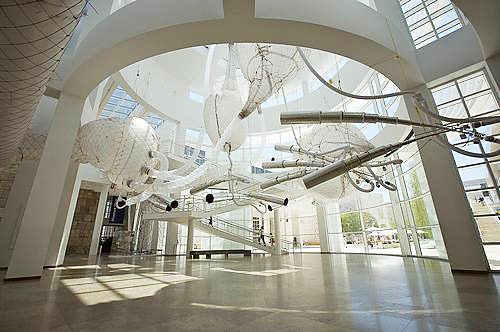 As Director of Special Events for the Museum of Latin American Art, Long Beach, the largest museum in the western United States devoted to contemporary Latin American art, Martie produced exhibition related corporate and fundraising events and created the continuing lecture, film, dance, and music series. As a performer, Martie has appeared on Broadway, in national tours, and in London’s famed West End. Martie has starred as Cassie in A Chorus Line; twice as Charity in Sweet Charity; and in featured performances in the Broadway cast of Evita; the national tour of Annie, and the London and 1st National companies of A Chorus Line in a variety of roles. She performed for Disneyland and Walt Disney Productions for many years, starting as a dancing Mary Poppins and graduating to directing and choreographing character sketches for the renovation of Disneyland’s Fantasyland. Martie has also hosted her own cable TV show on health and fitness. As a theatrical director and choroegrapher, Martie has supervised over 60 professional theatrical productions and has won over a dozen theatrical awards for her work. She continues to be a guest artist and insstructor at many colleges and universities nationwide, bringing her expertise as a musical theatre director and performer to eager students. Martie has a Master of Arts degree in Theatre Arts from California State University, Los Angeles, a Bachelor of Arts degree in Dance from UCLA, and is a member of Actors Equity Association and Alpha Phi National Sorority. She is also a life member of The Actors Fund.